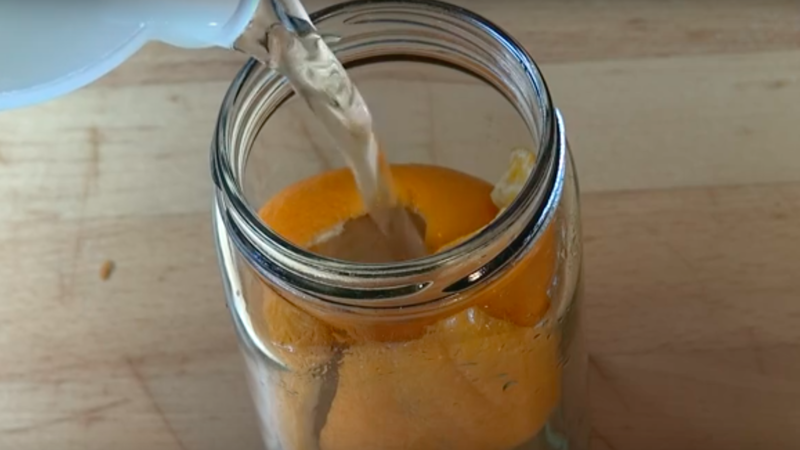 He Puts Orange Peels In A Mason Jar And Adds Vinegar–WHO KNEW!! This Is Amazing! I am so in love with this cleaning solution! First of all, who knew you could upcycle orange peels and second of all, what an incredibly great way to clean your kitchen while keeping the chemicals out and the wonderful natural scents IN. What’s your best DIY cleaning solution? Has anyone used this, and does it work?